This isn’t your typical banana bread! Inspired by Elvis, it is the perfect combination of Banana & SunButter with chocolate chips in every bite. Mmmm, Chocolate Chip Banana Bread! It’s pretty darn delicious on its own, but wait ’til you see what I have up my sleeve for today’s recipe. It’s deliciously scrumptious like every banana bread should be, but since we have to do things differently to make it allergy-friendly, I just decided to go for it. To have fun with it and put a little bit of “rock-n-roll” into it. Are you ready? Growing up I had a thing for the “King”. REALLY! I watched every Elvis movie…. multiple times, owned every record (even had a few 8 tracks → yes, I am that old) and knew every song lyric by heart. To say I had a crush on Elvis would be accurate and to say I was in awe when I visited Graceland would be an understatement. He was handsome, romantic and edgy. He pushed the limits but with class and Southern charm. Kind of what we’re doing here with this Banana Bread recipe. It’s classic and timeless but we’re going to push the limits with it. We’ve swapped out some key ingredients to keep it Top 8 Free but then I’ve added in a ton of chocolate chips and SunButter bring another level of flavor. Plus, the King loved PB & Banana, so this is my allergy-friendly take on it. 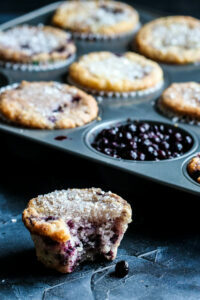 And of course, if you’re not gluten-free, just sub whole wheat pastry or all purpose for the blend. 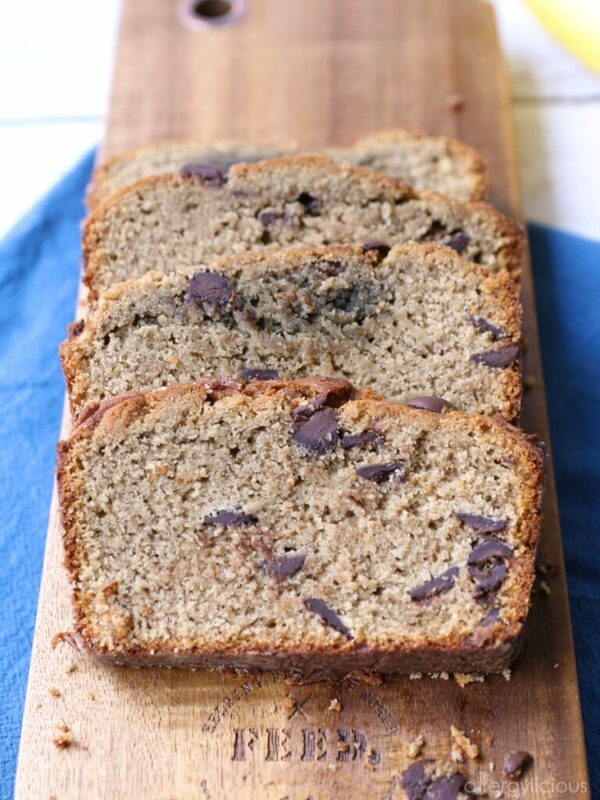 Either way, you, your family and friends will all fall in love this with this Chocolate Chip Banana Bread. I’ve made it both ways and enjoyed every bite, especially when it’s still warm and has a big ‘ol slab of dairy-free butter on top. So YUMMY! 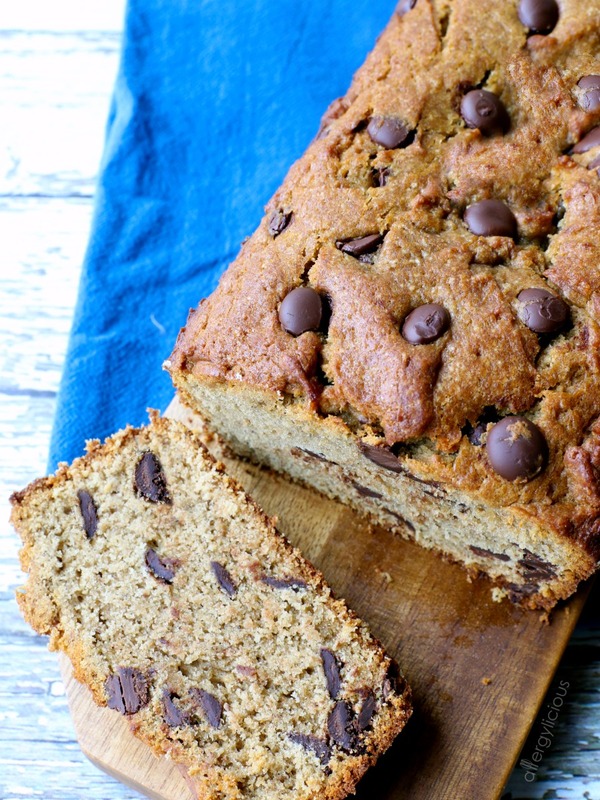 You’re gonna love this Allergy-friendly, Chocolate Chip Banana Bread! 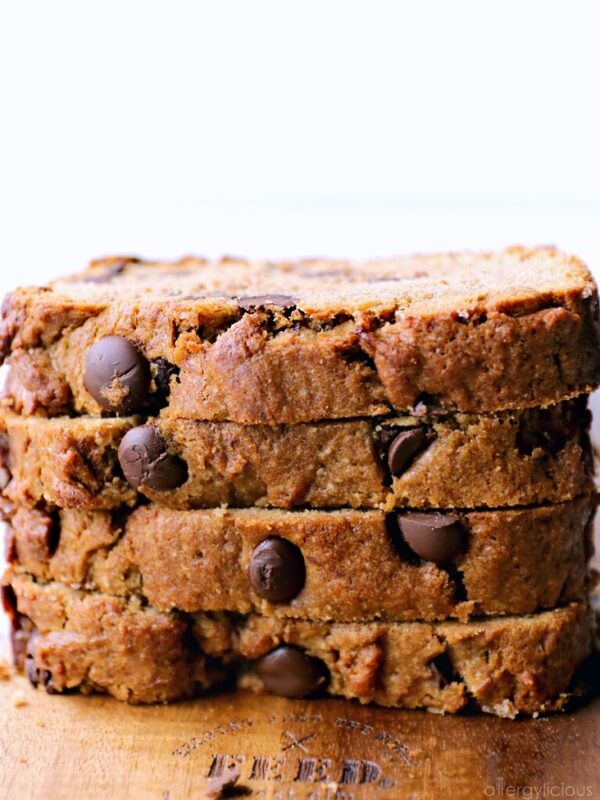 This Chocolate Chip Banana Bread is classic and timeless but we’re going to push the limits with it. We’ve swapped out some key ingredients to keep it Top 8 Free but then I’ve added in a ton of chocolate chips and SunButter bring another level of flavor. Plus, the King loved PB & Banana, so this is my allergy-friendly take on it. Preheat oven to 350°. Grease and flour a 9×5″ loaf pan. In a small bowl, sift together flour, baking powder, baking soda, cinnamon and salt. In a medium bowl, cream together coconut oil and SunButter then blend in sugar, bananas and vanilla. Stir in dry ingredients then fold in chocolate chips. Pour batter into prepared pan and bake 40-50 minutes. Until golden brown on top and center comes out clean when inserted with a toothpick. Let cool 10-15 minutes in loaf pan before removing and cooling completely on a wire rack. Anyone else an Elvis fan out there? Did you have any celebrity crushes growing up? DO tell!!! Want More Bread or Banana Recipes? I was too young for a record player, and had a discman instead. But, I used to love using the record player at my grandparents house, and they had some Elvis records too. This banana bread looks scrumptious. 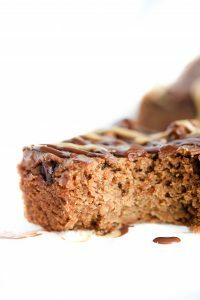 I use chocolate chips in my banana bread as well, so I know it’s a tasty combination, and I love your use of SunButter as well! Ya, I figured most people wouldn’t remember what an 8 track was but it was my grandparents and I thought it was the coolest thing! 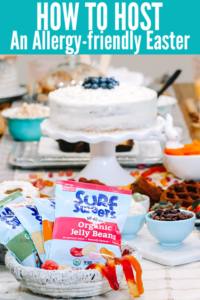 Hope you get a chance to add some SunButter to your banana bread next time….then let me know what you think! I’m going to be baking forever! This is one more for my “gotta make” list. You’ll love this bread. My kids can’t get enough of it. Oooh, I love banana bread. Love the extra chips too. I’m a sucker for chocolate chips! So many delicious ingredients in here. Love the SunButter! Thanks Kelly. You can even sub with their crunchy version for a little extra texture. That texture looks amazing! This is something I could eat for breakfast or a snack or dessert! Your post is so entertaining! This Chocolate Chip Banana Bread sounds insanely delicious. I’m sure the King would approve! Thanks Leslie. So glad you enjoyed it. You added SunButter to it, too! That’s marvelous. So much more staying power and I bet it makes the texture much nicer. Just enough SunButter to bring up the taste factor and like you said….staying power. Looks amazing! I really like Bob’s 1-to-1 GF flour. It works perfectly. 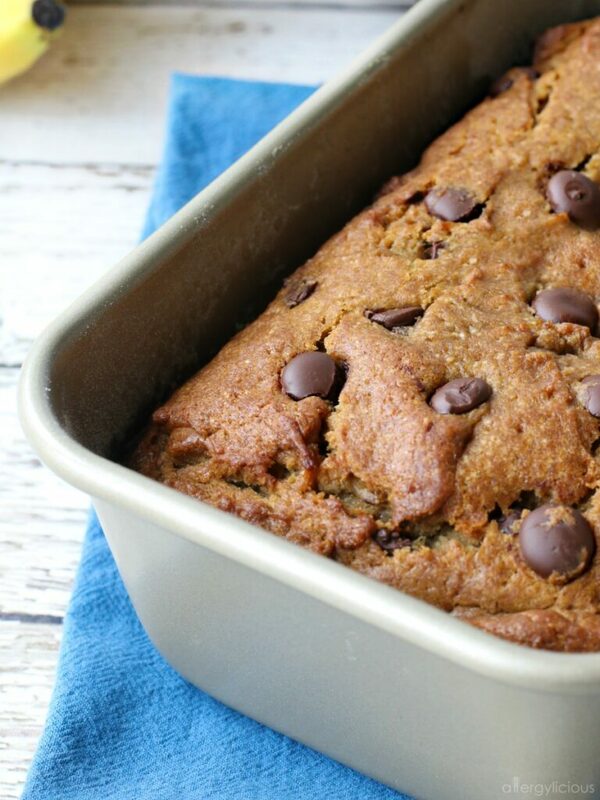 I can’t wait to try this chocolate chip banana bread! Long live Elvis! I’d like to think he’d be a fan of this bread. Looks perfectly moist and delicious! Oooh, I’d like to think he’s enjoy this bread as well. OMG I had such a crush on the King when I was younger- Reading this makes me want to put on some Elvis and get this yummy banana bread in the oven! Haha! Throwing on some Elvis music will get you in the mood indeed. I could totally use a slice of this bread. My favorite especially with the chocolate chips! Yum! I think adding chocolate chips to anything makes it better!! I love banana bread! Your photos looks like this one is very moist, which is what I want to see!! 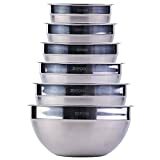 I will give your recipe a try! I hope you do. Dry bread is just no good, so you’ll love this.